OK, so I deliberately picked a title that would get your attention. But I’m not going to be controversial. I’m not a callous SOB – I’ve disliked anyone dying since I lost my father when I was 12 years old. No, the reason I smiled is anything but malicious. This is a good news story, so bear with me here…. If you were a fan of David Bowie, I can understand you’re upset by today’s news. But if I’m honest, I never really liked David Bowie or his music. It just didn’t do anything for me. I know I’m at odds with prevailing sentiment, especially today as news reaches the public of his death after suffering from cancer for the last 18 months. 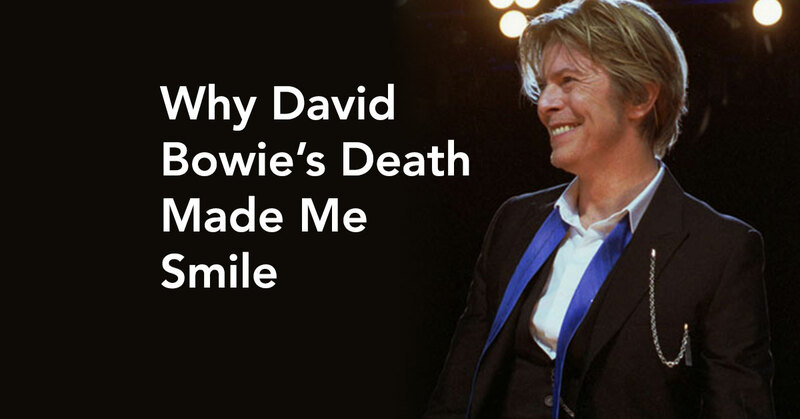 I smiled because only after his death, do I now appreciate David Bowie. But it’s not for his music. It’s for his marketing savvy. You see, Bowie knew he was going to die, though he kept news of his cancer from the public. He released his final album, Blackstar, just two days before his death on his 69th birthday, as a “parting gift to his fans,” according to the Telegraph. “David Bowie’s final record was a carefully-orchestrated farewell to his fans, his producer has confirmed. Bowie took the opportunity to do something that not only ensured he was talked about after his death; he also helped shape what everyone would say. You ever hear people say they wish they could attend their own funeral or memorial service, because that would be when everyone lines up to say nice things about them? I guess this is the next best thing. How many albums get reviewed twice when they’re released – once, and then all over again, a few days later? Bowie gets 2 reviews. Reflecting on Bowie’s death, the pundits are pointing out how the songs from his final album – both lyrics and videos – will have to be seen in a new light, following the surprise news of his death. Part of Bowie’s persona was his continual reinvention – and he managed to do that one more time after his death. The key lesson we can learn from Bowie’s death – and why I smiled – is that we are all capable of influencing what people say about us – whether it’s personally or professionally. If you own a business, then your opportunities are almost endless when you’re deciding what your customers are going say about you. You can create a unique experience for your customers and make it easy for them to tell others about it. Whether it’s word-of-mouth referrals, testimonials or online reviews that you want as an end-result, there are specific actions you can take to make it happen. David Bowie has demonstrated, even in death, that by doing something – instead of just being a victim of circumstance – you can influence what people say about you. In the entertainment world, that’s not always easy to do, but he pulled it off. It’s a lot easier to take control of what your customers say about your business – and how often they say it. Well, next week I’m going to show you how to do that for your business. I’m opening up my 5-Star Reviews Masterclass to reveal all of my secrets. 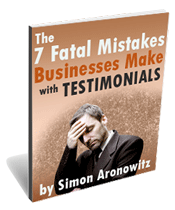 I’m going to lift the lid on the key elements of a system that guarantees to get you 5-star online reviews. So I’m smiling because I get to kick off my Earlybird promotion for next week’s Masterclass by emailing you on the day we hear about Bowie’s death, telling you why Bowie was a marketing genius. He was an expert at guiding his reviews. Register for Earlybird notification about my FREE Masterclass and you too will become an expert at guiding YOUR online reviews.